Robin Taber is the President and Chief Executive Officer of Gemini, which she founded in 2007. Bringing more than 30 years of experience in the federal business sector/federal services market, Robin oversees Gemini operations including human, financial, business development, informational, management, and strategic planning. Robin’s leadership approach values trusting partnerships, fairness, and credibility. Her enthusiasm for Gemini has created a culture that promotes individual and team performance excellence. Delivering mission-focused services and solutions, Robin encourages an environment focused on offering consistent value by providing timely solutions combined with old-fashioned dependability. 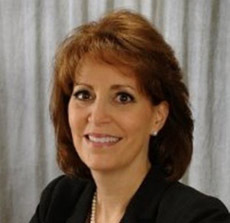 Prior to launching Gemini, Robin held various executive leadership positions throughout her career to include Vice President of Training and Learning Systems of SRA International, Vice President of Training Systems at Galaxy Scientific Corporation, and President of Galaxy Canada Corporation. Robin holds a Bachelor of Business Administration in Computer and Information Sciences from Temple University and a Master of Science in Instructional Technology from Philadelphia University. Dr. Yin serves as the Division Manager for Gemini’s Airport Technology Programs business area. He is responsible for contract execution and workforce management of interdisciplinary teams supporting FAA Airport Technology Research and Development. 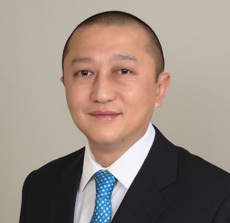 Dr. Yin applies his comprehensive, in-depth knowledge and experience to overseeing business operations, technical execution, and management of program deliverables. He initiates and provides technical direction to research projects at the FAA’s National Airport Pavement Test Facility (NAPTF) and National Airport Pavement and Materials Research Center (NAPMRC). Prior to joining Gemini in 2009, Dr. Yin was an Instructor and Research Associate at the Department of Civil and Environmental Engineering of The Pennsylvania State University. With more than 10-years’ experience in planning and implementing projects on pavement research and development, he has authored/co-authored over 100 publications during his distinguished career. A registered professional engineer, Dr. Yin is an active member of several professional organizations including the Transportation Research Board, Association of Asphalt Paving Technologists, International Union of Laboratories and Experts in Construction Materials, Systems and Structures, American Society for Civil Engineers, International Society of Asphalt Pavements, and International Society of Concrete Pavements. Dr. Yin holds several advanced degrees including Ph.D. in Civil Engineering and M.S. in Statistics and Statistical Analysis from the Pennsylvania State University. 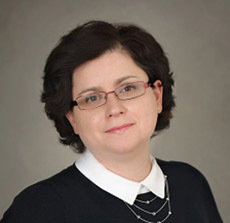 In her role at Gemini, Paulina has managed over 60 successful training projects and gained the trust of many commercial, government, and military customers, including a Certificate of Recognition from Project Manager Mission Command (US Army) for outstanding contributions to digitizing the battlefield. Paulina believes that successful training comes from forging strong customer partnerships and using an agile approach to ensure timely feedback and careful attention to quality. She encourages her team to prioritize the customer’s mission and to stay current in their professional development so Gemini’s capabilities are always aligned with best practices in instructional and graphic design. Paulina has more than 20 years of experience as a collaborative leader and educator at mission-driven organizations in the non-profit, commercial, and government sectors. 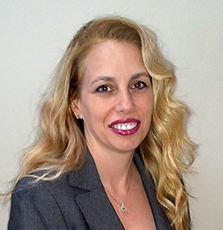 Before joining Gemini, Paulina led the education programs at the Flynn Center for the Performing Arts and the International Center for Captive Insurance Education in Burlington, VT and was a valued member of the instructional design team at Citizens Bank in Philadelphia. Paulina holds a BA in Linguistics and an MA in TESOL from Saint Michael’s College. She has received her Project Management Professional (PMP) certification in 2013. Kim Aletich-Harvey serves as Chief Financial Officer and is responsible for all aspects of Gemini financial and accounting matters, including the improvement of operating performance, profitability and business growth. Kim joined Gemini in 2009, bringing a diverse background of finance leadership experience from her more than 20 years in the federal contracting sector. Her business acumen and application of best-practices helps to streamline business operations and optimize our financial infrastructure. Prior to joining Gemini, Kim served as Director of Finance at Finance at Galaxy Scientific Corporation, where she was responsible for corporate-wide financial planning for over 400 employees and $70M in revenue. Managed all aspects of planning and forecasting including creation and continual updating financial model. Kim is a graduate of Stockton University with a Bachelor of Arts in Finance. Our Team is the core of our strength. With combined decades of experience, each of our professionals We have set high standards for the service we provide to our customers and we believe that this practice will provide professional and career development for all employees. Our goal is to provide a healthy work-life balance that allows each individual to achieve professional and personal growth through challenge and accomplishment – as part of a team that makes a difference. Our Leaders provide the foundation of our mission. Gemini’s leadership team has real, tested and proven experience providing solutions for customer with challenging projects. Our capabilities are built on their combined knowledge and know-how.